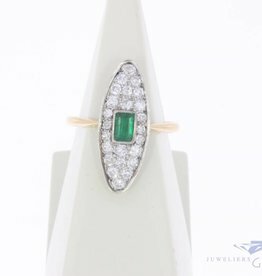 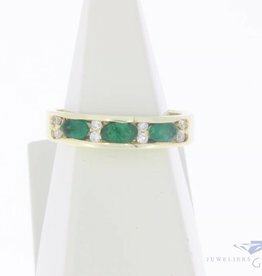 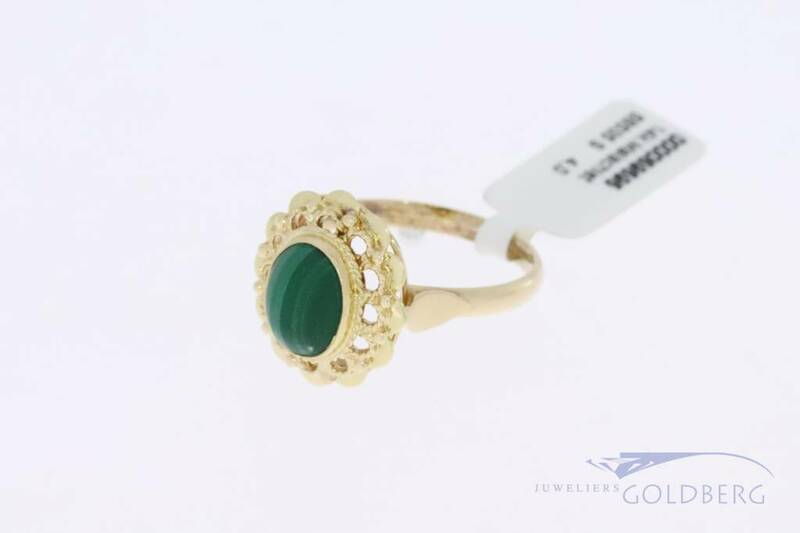 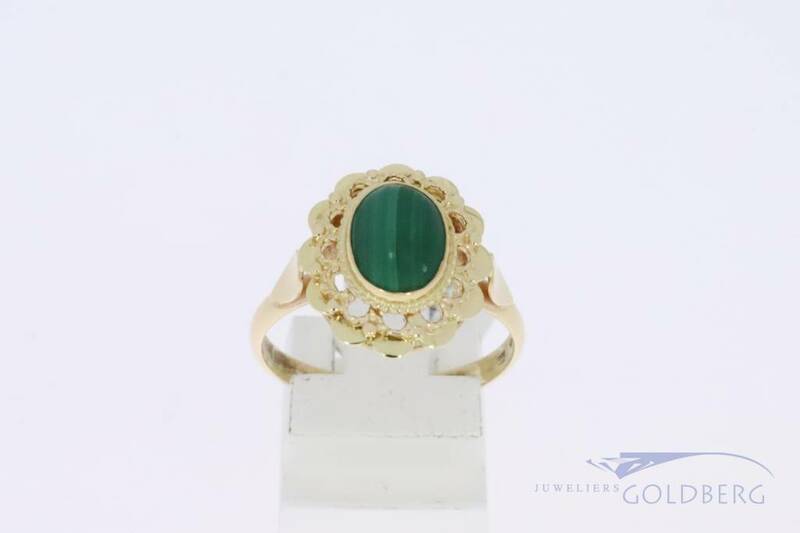 Beautiful 14 carat gold flower shaped vintage ring with oval, cabochon cut malachite. 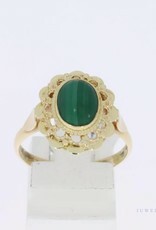 The malachite measures 8.5mm x 6.5mm and the total "flower" measures 18mm x 16mm. 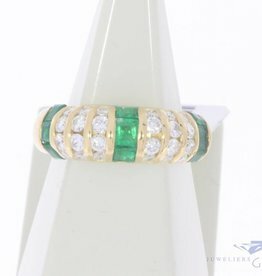 Ring size is 18.5 (58) but can be custom sized per special request. 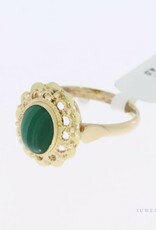 A classic design and in very good condition.